You might think that if you have a niche demographic then you are limiting yourself to one particular client, which might not seem like such a good idea. The fact of the matter is that it is actually better for your financial firm as you are creating more value for your company and creating more leads. Regardless if your firm is just starting out or you just want a website refresh, we all know how important it is to develop a niche market. There comes a time though, when you may start to wonder if you should create a second website for your niche audience. 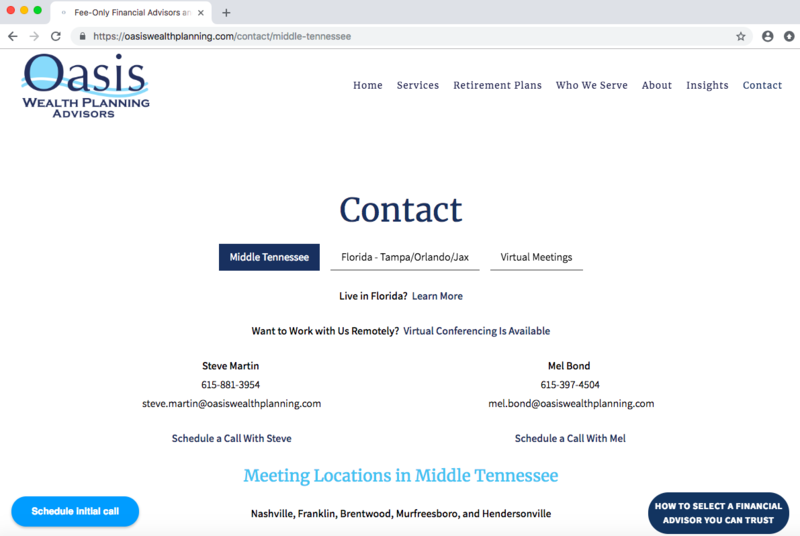 There is a time and place for when you should create a second advisor website. There are other times when it is okay to continue with your one main website. 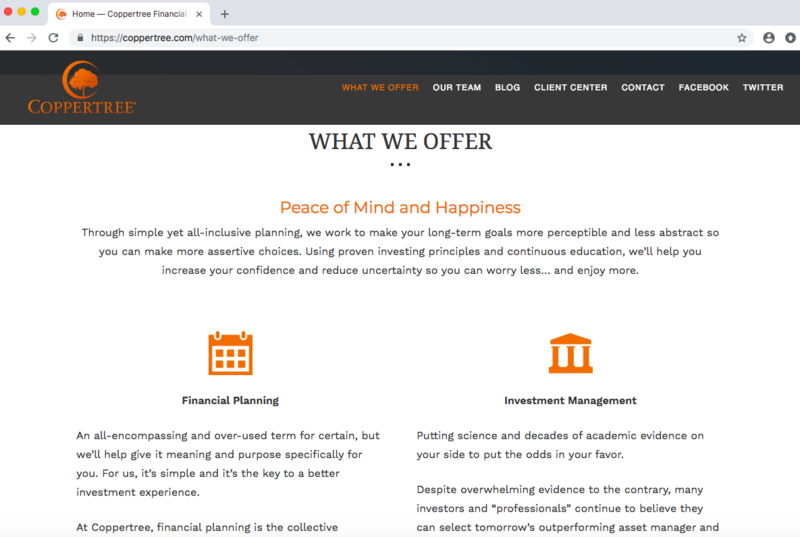 While having one website does cost less, and it is easier to maintain, due to less of a time commitment, sometimes it just makes sense when your company caters to a particular group of clients. When keeping just one website, there are things to keep in mind in order to continue to drive SEO to your page efficiently. Some financial advisor companies work with people that need basic financial help, investment questions, etc. but they also cater to a particular niche. At this point, it would probably be a good idea to create a second website for your firm. We like to keep our websites clean and clutter-free and when there is too much going on, then this becomes harder and harder. Below are some things to remember and consider when creating a second website for your niche audience. Advisor sites that focus on one service keep potential customers from becoming too confused when reading a website that seems to offer too many different services and target audience. Sites that cater to a single audience make it quicker and easier for your customers to the services that is right for them. 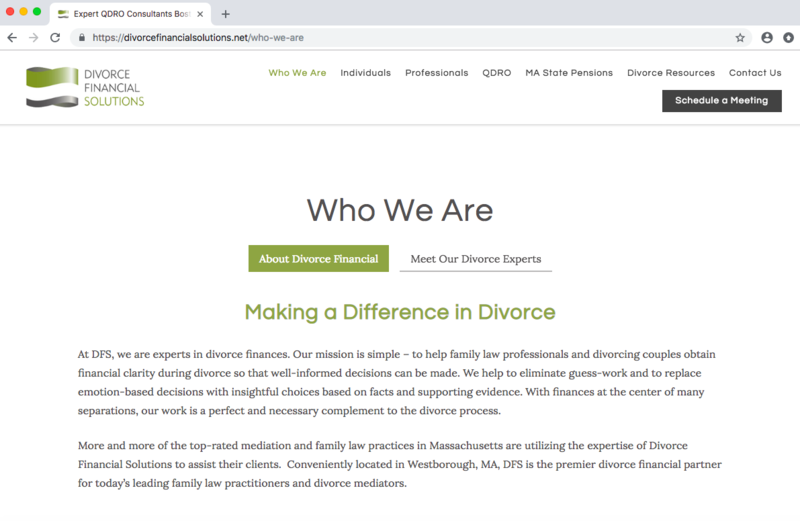 Twenty Over Ten clients’, Divorce Financial Solutions and CopperTree are run by the same company, however, they cater to two completely different audiences. Because of this, they both have a separate website with different offerings, resources, contact information, etc. 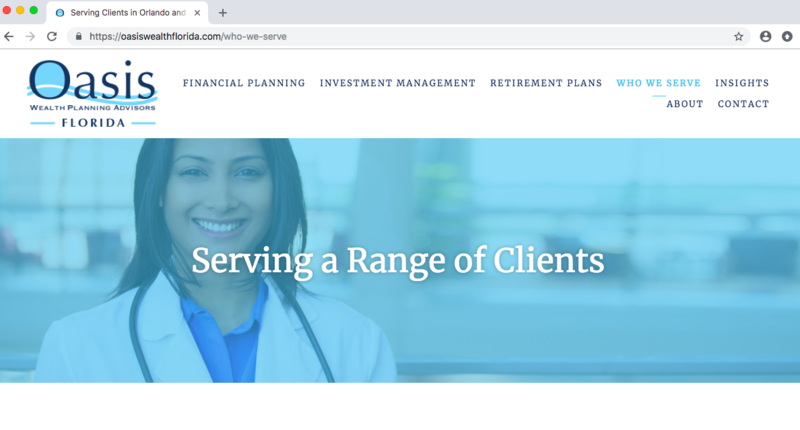 A key takeaway here is that every financial advisory firm is different, so the decision to have one or two websites for a niche market is based on the needs of the company. Fully understanding the advantages and disadvantages is very important for the success of the websites. If you think a second website makes sense for your business and generating leads, then go for it!